From a standing start at the beginning of the millennium, the company has grown to become a multi-million pound business, with thriving operations on both sides of the Atlantic. Today, golf equipment and clothing, the original basis of the business, accounts for around 50% of sales; cricket, leisure and outdoor supplies make up the balance. The company has come a long way since its early days of selling a limited number of product lines on eBay. Today, it supplies over 3,000 lines, from around 11 web sites in the UK and four in the US. These include www.thesportshq.com, www.golfoutletsusa.com, www.woodworm.tv and www.camping.co.uk. 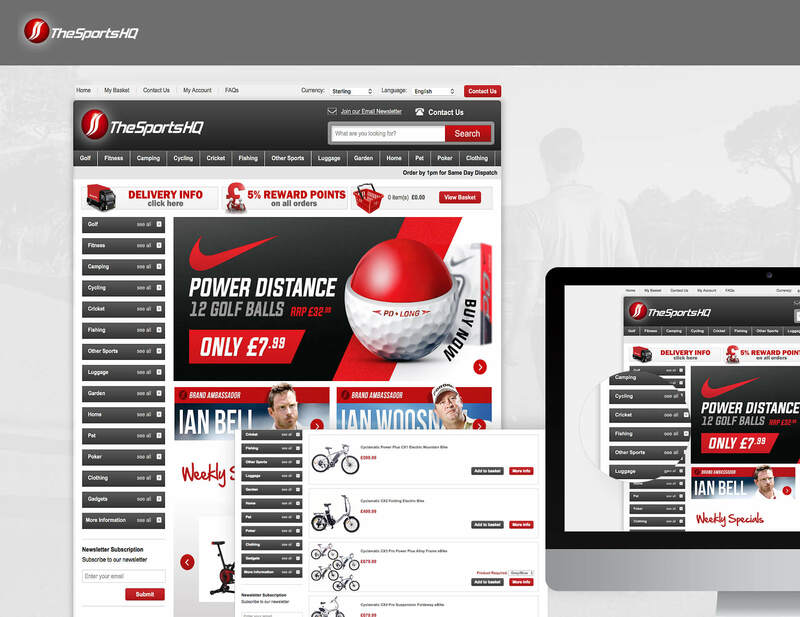 Sports PLC is one of DCSL Software’s longest-standing customers. It has based its e-commerce activities on a powerful database-driven application built by DCSL since it identified the need to establish its own website 8-9 years ago. Since then, a relationship that began with a simple introduction through a mutual acquaintance has grown to become an important pillar of the client base. Indeed, Sports PLC has grown at such a rate that it retired its first back-end system in 2008, replacing it with a highly scalable sales order processing system which drives all of the UK and US websites. The bespoke software brings together everything from inventory management to customer relationship management, and is able to produce on-the-fly reporting of ‘pretty much anything you might ever want to know,’ according to Sales Director, James Millington. A distributed front office and back office sales, stock control, order, PO and dispatch system which links sales information to inventory management and customer relationship management, in a fully joined-up way. With its depth of understanding of the business, and the proven robustness of its solutions, DCSL was the natural choice for the new, more advanced back-end sales order processing application, which Sports PLC has now been using for approximately 4 years. The online retail sites themselves, meanwhile, are feature-rich and employ high-quality graphic design. All of this is protected by multiple mirror and fail-over systems, too, ensuring maximum availability and resilience of both the websites and access to their data. The flexibility of the system, and DCSL’s commitment to the highest levels of service, mean that Sports PLC can keep innovating, too. The attentiveness of DCSL’s developers has been paramount to the relationship, and to Sports PLC’s ability to maximise its business growth potential. Inspired by DCSL’s dedication to innovation, Sports PLC’s next plans include slick integration with eBay and Amazon, whose sites the company sells through. “The integration will be so tight that we’ll have real-time stock information, which will flow through to dispatch using handheld PDAs,” he explains. Furthermore, in response to the increasing use of mobile phones to conduct online shopping, Sports PLC are working closely with DCSL Software on the development of a mobile browser solution to facilitate this. Just another example of how DCSL Software grows alongside a business to support their success.